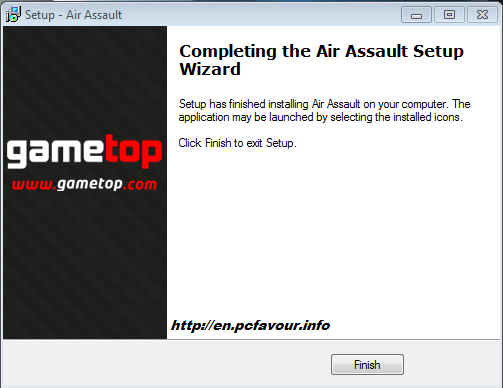 Free download Air Assault game. It is basically an action and combat game and it is developed by Gametop. I am sure that you haven’t seen this type of game and helicopter before. Air assault is full of action and adventure game. It is more than a game. There are units of enemies in air as well as in water and you have to fight with them. This game consists of armed vehicles, armed helicopters, number of missile and missile carriers, submarines, very fast speedboats and deadly bosses. Are you ready to destroy them all? Yes, you have to. If you defeat your enemy continuously level by level then your mission will be tougher than last one, and you’ll fight with your enemy over water, desert, high mountains and populated areas. When your enemy will become strong and tougher level by level, then you can also upgrade your weapons to fight them and to become stronger. So be ready pilot for 20 deadly levels with more than 100 enemy units, 3 deadly and dangerous terrorist bosses to fight. You’ll have 10 different helicopters. You’ll enjoy with 15 different types of bonuses and 5 types of missiles. There will be 200% action in this game.